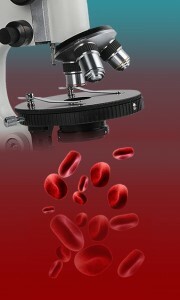 The analysis of living cells under a microscope examines the quality of your blood at the cellular level. This analysis involves placing a drop of your blood from your fingertip under a microscope that is connected to a monitor, showing you in real time the characteristics and activities of your cells and other elements of your blood. Live Cell Analysis may find an indication of significant mineral deficiencies such as low iron and vitamin B12 deficiency. Many individuals recognize these deficiencies by feeling continuously fatigued, experiencing allergic reactions to foods, getting a rash on various parts of the body and feeling light headed on a regular basis. In today’s world WEIGHT LOSS is becoming a significant challenge for most of us and a live blood cell analysis is a great place to start.